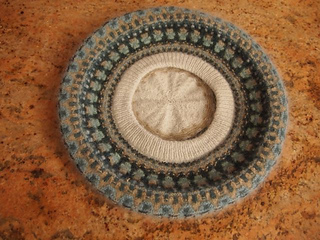 This pattern is a Bohus replica and the kit became available in late 2011. Originally designed by Anna-Lisa Mannheimer Lunn for Bohus Stickning, it has been recreated by Solveig Gustafsson. 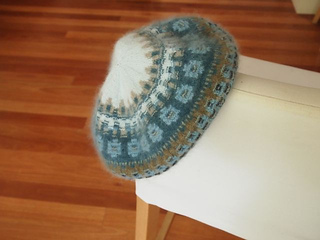 Other patterns featuring this design are the Blue Shimmer cardigan / pullover, scarf, hat, and triangular scarf.